Wired for War is in stores now. Read it soon. You can read the full article on the book in the current issue of In These Times. The good news about the films nominated for best live action shorts this year is that it’s a thoroughly worthwhile series, whether you’re making a night at the theater of it, or just wanted to get the lot of them from iTunes. Unlike most like-minded compilations, the Oscar Nominated Short Films 2009 program is a uniformly solid one, with only one entry of generally mediocre effect, and at least a couple that qualify as truly excellent. Unlike self-impressed Oscar-bait features like The Reader or even the wildly uneven Curious Case of Benjamin Button, this one is pretty much a risk-free venture. The Live Action (and animated!) Oscar Nominated Short Films 2009 is showing (hopefully) at your local arthouse. You can read the full review at PopMatters. Definitions in cinema have gotten pretty limited when you watch a film as over-the-moon romantic as James Gray’s Two Lovers and realize that by modern standards, it barely qualifies as a “romance”. Somewhere along the way, the very word became co-opted by the purveyors of music-montages and slapstick embarrassments that always ended up at the altar (and adding “comedy” to the description makes the icky girl stuff go down better, it seems). Modern love stories about the young seem mostly about the wedding; it has more to do with scheduling and the frantic rush toward or away from commitment than love. Two Lovers is in theaters now. You can read the full review at this week’s “The Screener” column at PopMatters. 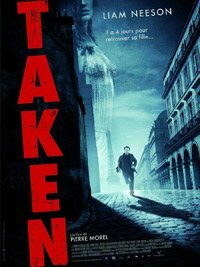 For our sins, Taken is playing pretty much everywhere. You can read the full review at this week’s “The Screener” column at PopMatters.